On September 13, 2017, the Vice-President for General Management of Mahasarakham University, Asst. 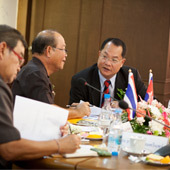 Prof. Dr. Theerayuth Chatchanayuenyong, together with Asst. Prof. Dr. Chonlatee Photong, Assistant to the President for Public Relations, and Mrs. Nataya Chomphutsa, the Director of the Division of Public Relations and International Affairs, gave a warm welcome to Mr. Suppawat Noiprasri, First Secretary of Royal Thai Embassy in Phnom Penh, Cambodia, and 20 Cambodian students for their field trip to Thailand on September 10-17, 2017. 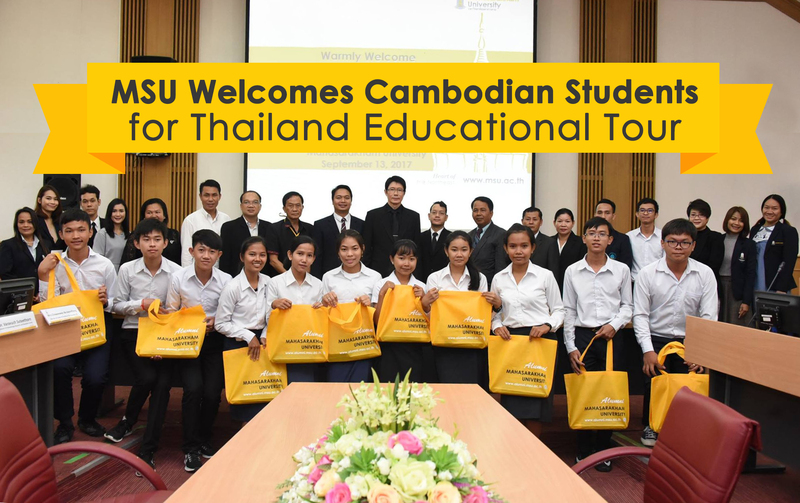 The Royal Thai Embassy, Phom Penh, Cambodia, organized an educational tour to Thailand to broaden students’ point of view and experience about the country. There were 20 high school students and 3 staffs planned to visit schools, universities, Environmental & Science Research Centers, and attractions in Thailand. 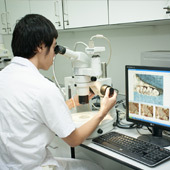 Cambodian students spent their time at MSU by visiting the Faculty of Engineering, Paleontology Research and Education Center, Center of Excellence in Innovation silk, Mushroom Museum at the Faculty of Science, and MSU Outlet. 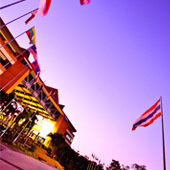 Moreover, they joined group activity at the Faculty of Technology, and worshiped Prince Mahidol Royal Monument at the Faculty of Public Health to learn about Thai culture and to raise collaboration between two countries.